Leading Manufacturer of rubber coated fabric bellows, glass fabric bellows, industrial rubber coated fabric bellows, high temperature fabric bellows, ceramic fabric bellows and aluminised glass fabric c type bellows from Mumbai. 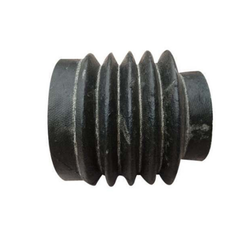 Our company is considered a renowned name in the industry that manufactures, supplies and exports an unlimited selection of Rubber Coated Fabric Bellows. Precisely manufactured at our location, these bellows are of major usage in areas of regular water flow and continuous movement of the machine. Clients can avail these at affordable rates. We are among the recognized names in the industry for manufacturing and exporting Glass Fabric Bellows. The offered bellows are extensively demanded in a wide range of industries including cement, plastic, food processing and pharmaceutical for the protection of precision parts of machines against operational damages. These bellows are durable and resistant to wear & tear. We have set a benchmark in the industry for manufacturing and exporting Industrial Rubber Bellows. The offered bellows are made in tune with the industry standards for meeting the variegated demands of clients. 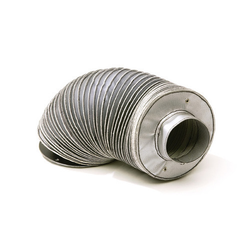 These bellows are durable, resistant to wear & tear, dimensionally accurate and seamless in terms of finish. The offered bellows find application in covering machine parts for enabling protection. We are concerned with the manufacture, trade, supply and distribution of a wide collection of Aluminised Glass Fabric C Type Bellows. Proffered in a varied series of sizes, the proffered bellows are widely applauded for their high resistance to chemical & corrosion, dimensional accuracy and reliable performance. 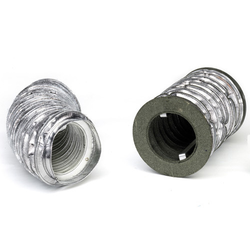 These low maintenance bellows are widely used for mechanical seal applications. Rubber bellows adn rubber coated fabric bellows are used where continues flow of water coolent and continues movement of the machine is required. We are among the pioneers in the industry for manufacturing and supplying High Temperature Fabric Bellows for our revered patrons. 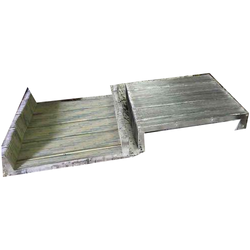 The offered bellows are extensively used in hot air furnaces for protecting the inner parts from wear and tear. These bellows are resistant to high temperature, dimensionally precise and meant to serve for a long period of time. 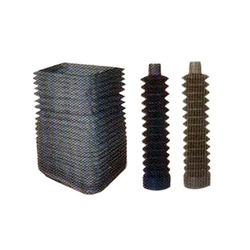 Being one of the eminent manufacturers, suppliers and exporters, we are engaged in presenting Ceramic Fabric Bellows. Manufactured in adherence to the predefined industry, these lightweight and durable bellows are immensely popular among our patrons. Ceramic fabric bellows are provided in standardized packaging. We are concerned with the manufacture, trade, supply and distribution of a wide collection of Aluminised Glass Fabric C Type Bellows. Proffered in a varied series of sizes, the proffered bellows are widely applauded for their high resistance to chemical & corrosion, dimensional accuracy and reliable performance. These low maintenance bellows are widely used for mechanical seal applications. 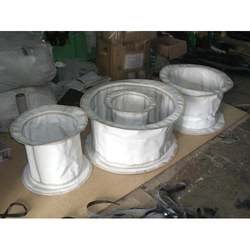 Our organization is among the distinguished names in the industry for manufacturing and exporting Fabric Bellows. The offered bellows are made from high-grade materials for serving a long period of time. These bellows are dimensionally precise owing to the innovative machines employed for making them from high-grade materials.